Our Glutamine is pharmaceutical grade, made from Non GMO corn glucose making it suitable for vegans. Glutamine is the most abundant amino acid found in the body. Whilst it is a semi-essential amino acid, meaning the body can create its own Glutamine stores. However generally not enough is made to meet the body's full needs - particularly for athletes and individuals who are training hard. 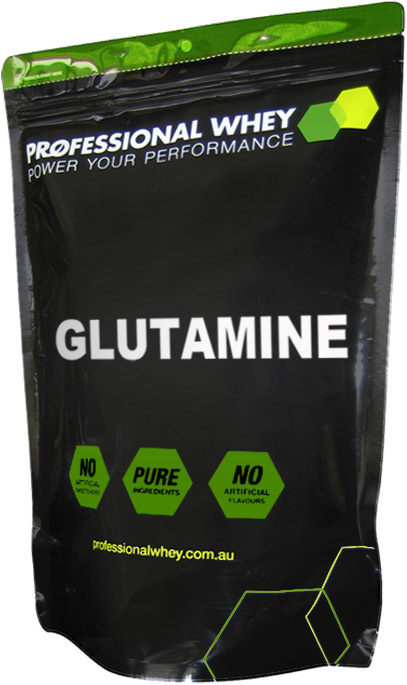 Glutamine is depeleted greatly after an intense workout creating a catabolic environment. Supplementation has been used by athletes, bodybuilders and powerlifters for many years as it has been shown to support immune function, decrease inflammation and protect muscle cells from the damage caused by intense workouts. It has also been shown to support gut health, assist with glycogen replenishment and reduce muscle cramps. Available in 500g packs and bulk buy discounts. As a professional natural physique athlete I have to ensure that all products I ingest meet the required standards not to fail drug tests through ASADA and WADA. Professional Whey provide a guarantee for quality testing which i can rely on! I have recently just started back at the gym after a 2 year absenth and i was looking for a supplement that would help me gain muscle and not any fat. Usually i would do a bulking diet as i am also a hard gainer then cut, which isnt ideal. When i first started at the gym 2 months ago my weight was 72kgs, i am now 77kgs, so with an intense training regime i have put on 5kgs of solid muscle. This stuff is awesome. I take 5g pre workout, then 5g post workout and then another 5g before bed. On my off days i just take 5g before bed. This stuff has helped me get back to where i was in only 2 months and now im lifting more weight then what i previously was when not using glutamine. Highly recommended. I have only been using Glutamine with my pre and post workout routine for the past month but having had 6 months off training I have felt the impact already. I have noticed that my strength has not only come back quickly but has improved without that physical drain or pain that I often get straight after a long break from training. Use 3gms with one serve whey concentrate pre and post workout for best results. Works great and I'm 52 years old so if it works for an oldie like me it will do wonders for you. I've been using PW's Glutamine for nearly two years now and can't see how I ever did without it. As far as I'm concerned glutamine is an essential nutrient for serious fitness buffs. 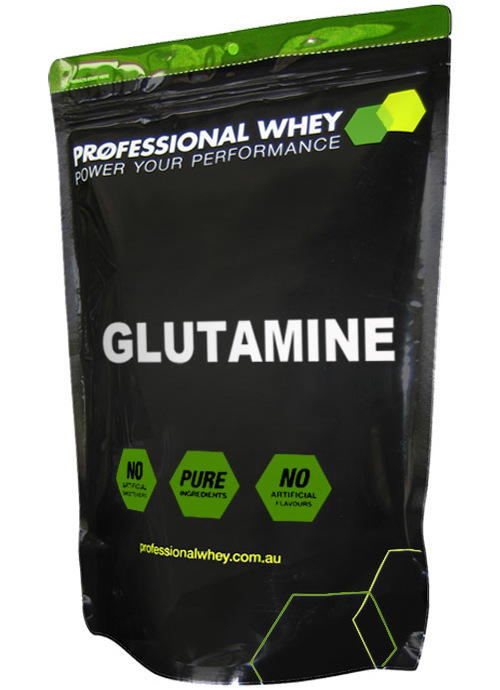 PW's glutamine is excellent to add to a post-workout mix and I have been incredibly satisfied with the performance of the product. It's anabolic attributes aside, Glutamine also offers many general health benefits. I haven't had a cramp to speak of for as long as I can remember! When mixed with WPI I am unable to taste the difference, mixes perfectly and absolutely no clumping at all.